Video of Is This Photography&#039;s Greatest Fake? Arguments regarding Capa’s image have raged ever since its creation more than 80 years ago. Because of the circumstances, many believe that the image was staged, but this would challenge Capa’s legacy and could potentially undermine his reputation as one of history’s most influential photographers. It’s unlikely that we will never entirely know whether Capa’s image is authentic, and the amount of evidence that raises unanswerable questions is hard to ignore. While records show that Federico Borrell, the soldier whose death is portrayed in the image, was indeed killed that day, experts believe that given the sequence of negatives, Capa’s photographs do not show a battle taking place. Other research has suggested that Capa was incorrect about the location. Whatever the reason, war has always been a challenging subject when it comes to establishing historical fact, and any inconsistencies in Capa’s story could easily be accounted by the confusion created by the intensity of the experience, the long delay between shooting the images and their processing, never mind their publication, and the fact that much was written about the image before Capa discussed it in the following years. 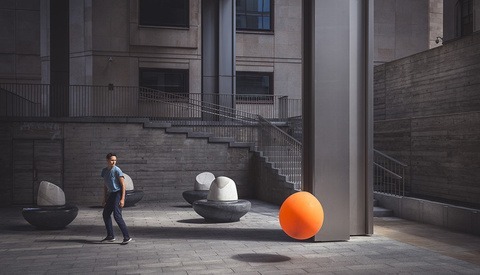 As the video itself notes, truth is a slippery concept when it comes to photography, despite our frequent assumptions that images are evidential. As soon as you point a camera, it is subjective as you have decided what to frame and what to omit, making editorial decisions long before your raw file is dragged into Lightroom, never mind Photoshop. 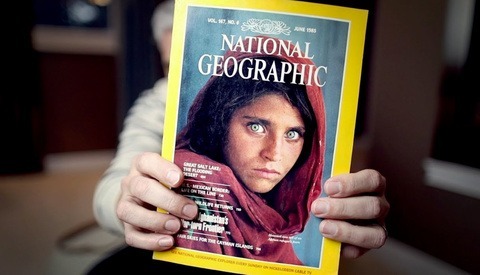 If you’d like to read more about the problems raised by the slippery concept of truth in relation to photography, check out my recent article that discusses Steve McCurry, Tom Hunter, and the difficulties raised by visual storytellers. For more information about the arguments over Capa’s image, be sure to read this article from the New York Times. If this were real, I’d expect to see an entry or exit wound. I find it odd that some may not care when (today at least) truth and minimal manipulation are increasingly important when it comes to photojournalism. Depends on the exact time the bullet hit him and where. It takes some time for the blood to come out and soak the shirt. According to the body position and movement, the solider seems to be hit on his left side (away from the camera, perhaps on the shoulder), so we wouldn't see anything at all. Just thinking. True, there is a (small) chance that the photo was taken the moment before an exit wound was caused and the entry wound wasn't yet apparent. I had never even heard of this so called iconic picture! This photograph is more iconic than The Burning Monk?!? Francisco Franco wasn’t as bad as the communist!!! And who ends of video with a quote by Susan Sontag??? "Francisco Franco wasn’t as bad as the communist!!!" Seriously? On one side you had the Republicans trying to defend a democratically elected leftist government from a military coup, and on the other side you had Franco's fascist cabal of landed aristocrats, Catholic clergy and businessmen. The Republicans had the support of Hemingway, Orwell, Capa, Picasso and many other important figures (as well as the Soviet Union). Franco had the support of Hitler and Mussolini. I'm no fan of communism but I know which side I'd be on. Yeah, me too! And it sure as heck isn’t communist. Between the two rotten choices, I’m choosing the fascist, it’s that simple. Susan Sontag wrote a book called "On Photography" in 1977. It is a good read about photography, not just pictures. 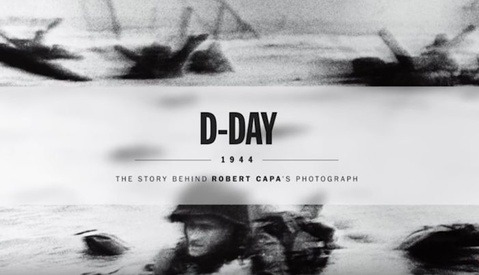 True or fake, Capa was one of the best, if not the best, war photographer. Check out the work of his girlfriend Gerda Taro. I saw an exhibition of their work from China side by side and thought her shots from that trip significantly better. Yes, I saw a documentary on Gerda, she was one amazing woman and a gifted photographer. If she had lived as long as Capa she would have produced equal or better work. Unfortunately, she only photographed a number of years. Thought provoking article. Well done FStoppers. I hope it was real. it's one thing to make a case that a photo may have been staged. But to imply that Capa may be "photography's greatest fraudster" seems over the top and disrespectful. Are you saying that he's a greater fraudster than Richard Prince? Or Peter Lik? Going ashore with the first wave on June 6 most certainly sealed his reputation with me. From my perspective, in a good way. To have commitment to craft that may get you shot is something I admire. Remembering that D-Day wasn’t a sure thing by any stretch, it certainly takes a desire to share the story to an extreme. He certainly practiced what he preached. If it’s not good enough, you’re not close enough! I am a big fan of Capa so my opinion is naturally biased. Everything about his story amazes me. You might be more amazed to discover that there is a serious allegation that the entire story is BS and that RC may have stayed on the beach for a brief period of time and then left. There are several articles about it on the site I'm linking here. It's a shame they didn't write just one comprehensive article, but if you take the time to read the various articles, they make a compelling allegation. Wow. Staged or real, it's a stomach churning image and I don't feel its power is much dimished either way. We know that this is what actually happens to people in war. War isn't glorious. It's a vile failure of humanity and we should stop celebrating it. On a lighter note...why not just check the metadata? The photo is almost certainly legit and Capa was not a fraudster. The video author just repeats old speculation, offering nothing new and nothing convincing. Why does this matter? In all honesty, why? War photography is supposed to hit you. To send a message. One of the best was Alexander Gardner. He shot wet plate during the Civil War. He MOVED bodies around to create a better, more affecting scene. To show people the brutality of the war and the battlefield. No one questions whether his shots were worthy or not. If the shot by Capa is real or not is not the point. The real point is whether or not it delivered the message he was hoping it would. I think that it does matter. Let me explain my thinking, war photographers typically represent themselves as journalists. Journalists, typically be definition, try to reflect reality. Of course it's not as black and white as this, but, that is typically the goal. Otherwise, we aren't talking about photojournalists, we're talking about propaganda. And if you are an journalist "embedded" with an army, there's gonna be a lot of propaganda. Not all conflict photographers were / are embedded. And, among those that are, not all drink the kool-aid (so to speak). But. I wouldn’t deny that propaganda is often “created” as part of conflict. I was only expressing my thought that to manipulate images or to not care of images are manipulated or not, opens the door to propaganda. Would be interested in your thoughts. an embedded journalist may be manipulated by their subject in having a controlled view of events or only have access to official statements but the reporter is only photographing real things and is reporting what government officials are saying whether they are lying or not. The journalist is truthfully reporting what they see and hear and hopefully will fact check later. That is wholly different than a reporter lying themselves or fabricating images of things that did not happen or they did not see in real life. Believe we’re on the same page here. Journalists are not allowed to script or rewrite a quote given by a subject to make it better. They are not allowed to fabricate facts or details. The equivalent issue is what is wrong about staging, over manipulating, compositing or faking the image or it’s elements. Most news outlets have the general guideline that anything beyond digital manipulations equivalent to pushing and pulling in negative development, dodging and burning and other simple darkroom developing/ printing techniques is prohibited and will be treated the same as plagiarism or fabricating a story.